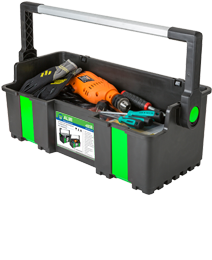 Ideal for carrying power tools, hand tools and medium-to-large items. Full-length metal handle that allows easy carrying. Tool box for professional use. Easy to add a suitable Organizer.